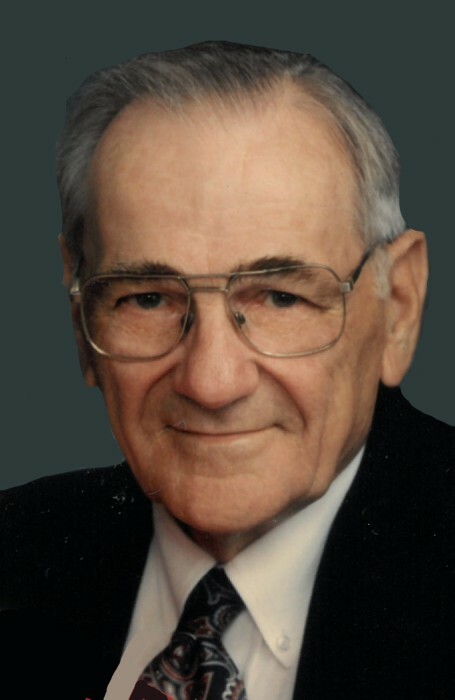 Samuel E. Scott age 98, formerly of Troy, OH passed away on August 2, 2018 at Lincoln Hills Health Center in New Albany, IN. Sam was born on June 20, 1920 in Troy, OH to the late John and Zelda (Robinson) Scott. Sam married Evelyn J. Tecklenburg on August 7, 1945. Sam is survived by his wife, Evelyn; daughters and son-in-law: Teckla (Jim) Dando of Troy and Susan (JT) Meeks of Borden, IN; grandchildren: Abby Cox of Reno, NV and John (Jessica) Dando of Rock Hill, SC; and numerous nieces and nephews. In addition to his parents two brothers preceded Sam in death: Tom and Robert Scott. He served his country during WW II (8th Army Air Crop 453rd BG 733rd squadron) as a nose turret gunner in a B-24 Liberator. On his 20th bombing mission, he was shot down over Mainz, Germany. From there, he was a Prisoner of War, held at Stalag Luft IV, and forced on the Black March during the winter of 1944-45. He worked for over 30 years at Wright Patterson Air Force Base. After retirement he assisted all his relatives, friends and neighbors whenever possible. He volunteered to help with the research of the Veterans walkway in Riverside Cemetery. The family would like to express their love and appreciation to the staff of Azalea Hills Assisted Living Facility and Lincoln Hills Health Center for such kind loving care of the Scott family. “Sam the Man” was loved by all who took care of him and he will be greatly missed. The family will receive friends on Tuesday, August 7, 2018, from 9:30-11:30am at the Baird Funeral Home. Graveside service will follow in Riverside Cemetery, Troy. Memorial contributions may be made to WACO Museum, 1865 S. County Road 25A, Troy, OH 45373, Brukner Nature Center, 5995 Horseshoe Bend Road, Troy, OH 45373 or the charity of Donor’s choice. Condolences may be expressed to the family at www.bairdfuneralhome.com.